The study of plant medicine is a lifelong practice. My dedication to that practice began in earnest back in 2003. It was then that I spent a year living beside a quiet lake, amongst old grand fir trees, salmonberry bushes and wild mints on northern Vancouver Island. Amidst the quiet atmosphere of the bush, the bounty of wild food and medicine that grew all around me began to reveal itself. It became clear that the earth is a source of tremendous healing. Knowing how to use plants as medicine soon became an important endeavour for me. I have devoted much of my life to that purpose since then. I’ve had numerous teachers. In forests and fields, classrooms and clinics, in books and in herbal dispensaries they shared their knowledge, experience, wisdom and passion about the art, science and age-old traditions of healing with the earth’s medicine. Meanwhile, I spent as much time as possible out in nature, where I opened myself to learning from the most important teachers of all: the plants themselves. Throughout many seasons, I harvested herbs and prepared medicines from them. I developed my own herbal dispensary. It grew. I began to formulate herbal remedies for myself, my family, my friends and others who had caught word that I was a keeper of plants that heal. With ever-renewed wonder, I watched as the medicines worked! All along, I continued to learn from every experience, developing a faith in my craft that continues to strengthen with time. 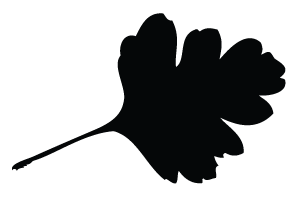 In 2013, I earned professional status as a Registered Herbalist (RH) by the Ontario Herbalists Association http://www.herbalists.on.ca/. Now I live on an old farmstead in beautiful Prince Edward County, Ontario. Here, rich pastureland houses a deep underground spring, and meets an aged wetland forest. I am grateful for this clean and vibrant land that I call home. 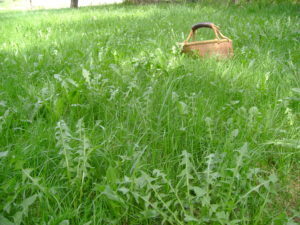 It is from here that I harvest many of the plants that become the medicines I use in my practice. I harvest with great care and deep respect, working in partnership with the plants and the elements, to make this medicine available to those who need it. Every day, I am grateful to have the opportunity to do this work. I have a practice here at the farm, where people come to see me for herbal medicines, nutritional consultations and healing support. I’m also continually teaching, helping to empower willing learners with the skills to identify and make use of the abundant plant medicines and wild foods growing in our area. Feel free to contact me at any time to book an appointment or to ask me any questions regarding the work I do. Wishing you vibrant health and wellness!